How to aminister CPR to adults, children and infants, defibrillators, things to consider and unconscious casualties. The recovery position, choking, wounds and bleeding and shock. Burns, eye injuries, head injuries, fractures, dislocations, spinal injuries and amputation. Asthma, allergic reactions, nose bleeds, diabetes, epilepsy, heart attacks and strokes. Hyperventilation, fainting, sprains and strains, poisoning, drowning and record keeping. 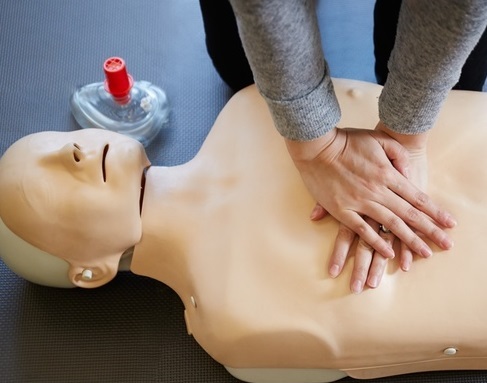 Understand the responsibilities of the occupational first aider.